Dominating the New York Times Bestseller List, Mockingjay by Suzanne Collins has enlightened many across the world. If we are to read the book reviews one aspect blinks out immediately: Collins’ writing style is a special one. Vague words, so let me clarify them because they are very true. But some elementals first: The Hunger Games was the first book in the series’ trilogy. Followed by Catching Fire and lastly we got Mockingjay. Take in mind this review is only about her latest novel. For those who don’t know the series: Katniss Everdeen, the protagonist, has survived the Hunger Games twice. These games are administered by the Capitol, the corrupt and decadent future of North America, ruling the land called Panem (from the latin phrase panem et circenses). The main, direct reason why Katniss got involved with these games was not chance, but her sister Primrose Everdeen. Her name was called out at a public “reaping” obligatory to attend for all citizens from all twelve districts of Panem. How to survive in the Hunger Games? Well, that’s simple: just kill every other contestant, even the person from your own district. A simple, yet gruesome task and purpose has been transformed into a novel by Collins exceptionally. Collins’ choice of register make the reader visualize the emotional pressure Katniss is under. Through the use of adjectives and dialogues where Collins shows off the stereotypical side of her characters, we as readers come to experience the brutal future with force. Vivid descriptions of the setting make place for personal interpretation in the world of Panem. However one should take into account that this is not an action novel but rather an adventerous one. This has proven to be a good choice as there is a first-person narration. We see everything through the eyes of Katniss and we undergo the same emotions. That’s breathtaking, no matter if you aren’t a girl yourself. That brings me to the next aspect. The symbolism. Collins has envisioned Katniss as the strong female version of any other hero mainly in Greek mythology. Katniss is of course the modern version of Artemis or Diana, the Hellenic Goddess of the Hunt and Wild Animals. She lives in Panem where the Hunger Games are typical. This is based on the gladiators for sure. So as you may notice Collins has thought about every tiny detail in this Dystopian novel. 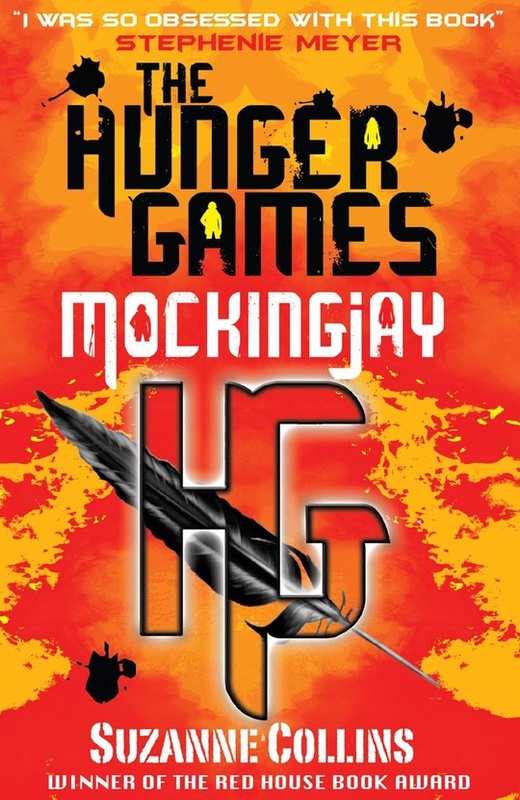 While on the surface being presented as a teen novel with plain action and heroic romance and tragics, Mockingjay is in fact one big allegory representing various issues in our modern society including teens versus the adult world and ‘violence to enjoy’. However the novel contained some disappointing parts as well. Well, at first after reading but before thinking about the novel it is. What striked me was the story’s tempo. I’d expected to go faster through Katniss’ journey and especially focus at the end where everything was turned upside down. Instead Collins chooses to indulge her readers either in triangular relationships, which is a quite old technique as everyone is familiar with it because of the Twilight Saga, or into the President Snow-Katniss relation. More action was what I’d really expected: Katniss taking the lead in the revolution. But hey, after thinking about this I saw that this is just the great deal about Katniss’ character. Her ability to be uncontrollable and still a teenager by not accepting the rules of the adult world makes her character so intriguing to study. My compliments. Mockingjay takes you away into a whole new world where we embark on the shades of modern society. It is a touching novel, so be prepared. Total Grade: A.